I'm both incredibly excited and slightly nervous to be sharing this post today. As those of you who follow me on social media know, I've been not so subtly hinting at a little project I've been working on, and today I wanted to share with everyone exactly what that was. Since I started blogging last year, I have truly uncovered my passion in life. Writing about beauty products for this blog has brought me such joy and I have genuinely loved every minute of it. So with that in mind, I came up with my idea of how to transform my adoration of beauty into a business. That idea was Healuxe Beauty (standing for healthy luxury), an online green beauty boutique specializing in selling only the best all-natural, small batch beauty products currently on the market. 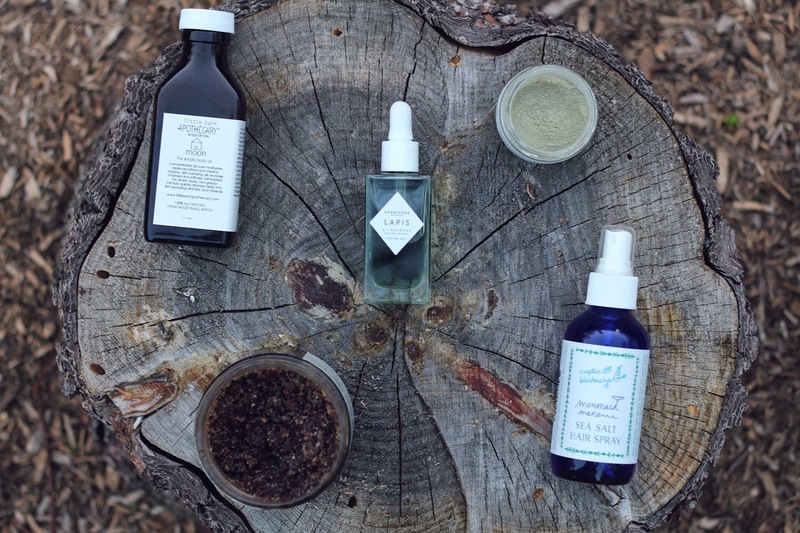 On a personal level, I've been slowly making the switch to green beauty products for awhile now, and the results I've seen have been astounding. My skin has never looked better, and I truly love being able to recognize every single ingredient that I'm putting onto my body. But while I've been able to find these wonderful brands and products as a beauty blogger, many of my friends who have wanted to make the switch to all-natural products have had trouble finding them, especially in one place. Because of that, my hope for Healuxe is to create a personally curated collection of the best green beauty has to offer (and I've tried and tested each to prove it), allowing for a one stop shop to fulfill those needs. Right now the hope is to be able to launch Healuxe in mid to late summer, and in preparation for that I wanted to start a weekly series introducing you to some of the incredible brands that we will be offering. You can see a few of these picks above (including Herbivore Botanicals, White + Elm, Little Barn Apothecary and Captain Blankenship) but my hope is to start a Sunday series, each week introducing you to a new line that we will be carrying. Just as my blogging experience has been, my hope for this boutique is that it can be a collaborative experience. I'd love nothing more than to get all of your input on some things - including a possible Be the Buyer poll on each of my introduction posts, where you can help me by giving feedback on which items from a line you'd love to see sold at Healuxe. So as I'm setting up the site, feel free to leave your e-mail for future goodies, or follow the site on Instagram and Twitter. I'm so incredibly excited for this new venture, and cannot thank everyone enough for the kind support that I've received since I started mentioning it!